Best ways to restore gut ecology: Eat plenty of fresh veggies, non-allergenic proteins, cultured foods (yogurt, kefir, kombucha), probiotic supplements if needed, pumpkin seeds, garlic, onions, herbs (echinacea, oregano, clove, slippery elm) essential fatty acids, and vitamin C. Consider eliminating/minimizing NSAIDS, caffeine, and refined carbs/sugar. 2 Tbsp plain organic yogurt as a starter. 1. Make sure to sterilize all equipment and utensils that touch your yogurt. You don’t want any foreign bacteria interfering with the cultures in the yogurt. Boiling water works just fine for this. 2. 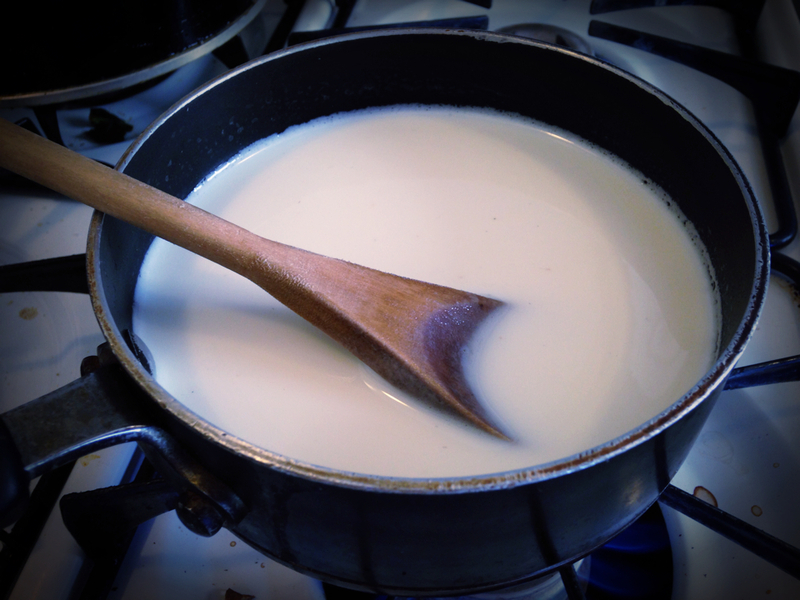 Pour milk into a saucepan and heat on high over stovetop. Stay close by, stirring occasionally so it doesn’t burn. You want to heat it to about 180 degrees F.
3. As soon as it hits that 180 mark, remove from heat and allow the milk to cool to about 110 degrees. You can speed up the cooling process by putting milk in freezer, fridge, or submerge saucepan in cold water. 4. Once the milk is at about 110, stir in yogurt being sure to blend well. Lid your container, and find a warm place to store it for about 8 to 12 hours. The yogurt cultures like the warmth, we’re talking 80 to 90 degrees. The warmer the milk, the quicker the brewing process will take. If you don’t have a really warm place for it, preheat the oven to its lowest setting, about 100 degrees. Turn the oven OFF, place milk mixture inside for 8 hours. The oven will stay pretty warm even as it cools down. Also, the more the yogurt cultures the more tart tasting it will be. If you like really tart yogurt, be sure to let it brew longer and vice versa. Lastly, the MORE your yogurt cultures, the LESS lactose it contains. So if you tend to be sensitive to lactose, let it brew for 12-15 hours! When the culturing process is finished, store in fridge. The yogurt will firm up even more after being refrigerated. Serve plain or add in sweetener, vanilla extract, and/or any other toppings that tickle your fancy!